Data centres and companies need server and network hardware support. With quality support you maintain smooth operations. We manage your outsource services to support the overall network infrastructure, helping you plan and build as you expand and mature. A better infrastructure of the entire system of desktops, laptops and servers with other network devices enables staff to produce more effective work. 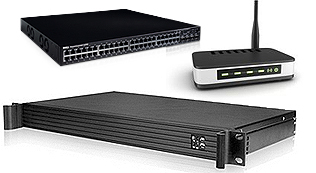 Hardware support takes skill and experience to smoothly run all the networking operations within an organisation. Our experienced team at ITSec maintains the network securely and keeps it free from intruders. The professionally managed service gives you the peace of mind for continuous, smooth operations with 247 network maintenance and a supportive server infrastructure. 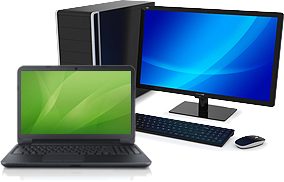 The desktop, laptop, and PCs support takes regular and proactive monitoring and maintenance to keep the infrastructure and devices running safely and securely, away from potential viruses and unhappy hardware components which are likely to fail. The business process of every company needs to be quick and effective. As employees increase the use of email and increasingly complicated databases and CRM programs through their devices and various servers all the time, it becomes extremely important for the creation and maintenance of a good backup and disaster recovery policy. Losing important data through accident or via malicious activities is often a severe loss which no company wants to face and, indeed, some do not survive from. It is better to get yourself prepared for disaster and maintain the backup with a pre-planned and well-thought out disaster recovery plan. The complete IT security supports a smooth working environment. The good networking infrastructure is the core of every network. ITSec manages the cables, selects and configures the network backbone, creates DMZs, maintain switches and firewalls. Everything supporting the network needs to have proper and complete support from the professional IT team for a smooth operation. Call us on +92 21 37130093 or fill in the contact us form and we will talk you through how we can help reduce your worries relating to your IT operations.